Extraordinary Sandwiches: Why Stick to Boring, Old Basics When We’ve Got Something New & Exciting? Contrary to popular belief, sandwiches don’t have to be a boring lunch option. We’ve found some of the best restaurants striving to correct the sandwich’s damaged reputation. These vendors bring character to the sandwich, adding hand carved meat, savory sauces, and even a little dessert to the mix. Say goodbye to the dull, old PB&J and hello to some new sandwiches that are going to blow your mind and change your eating habits! This delicious Murray Hill restaurant specializes in custom meat and sauce sandwiches. At Mayhem and Stout, you can choose from their selection of over 15 types of meats and sauces as well as a grand selection of add-ons to build your own creation or stick with one of their signatures such as Braised Pulled Pork or Short Rib and Brisket. Either way, each sandwich is guaranteed to contain the freshest handmade bread and succulent, tender meat. Now here’s something unique…Vietnamese sandwiches, also known as banh mi! What better way to spice up your sandwich life than finding out how different cultures handle the dreaded, boring lunch option. Well, now it’s quick and easy to delve into the world of Vietnamese sandwich cuisine at Paris Sandwich. Offering a variety of traditional Vietnamese creations such as the Paris Special and Pork Rolls, we’re sure you’ll find something new to explore here. 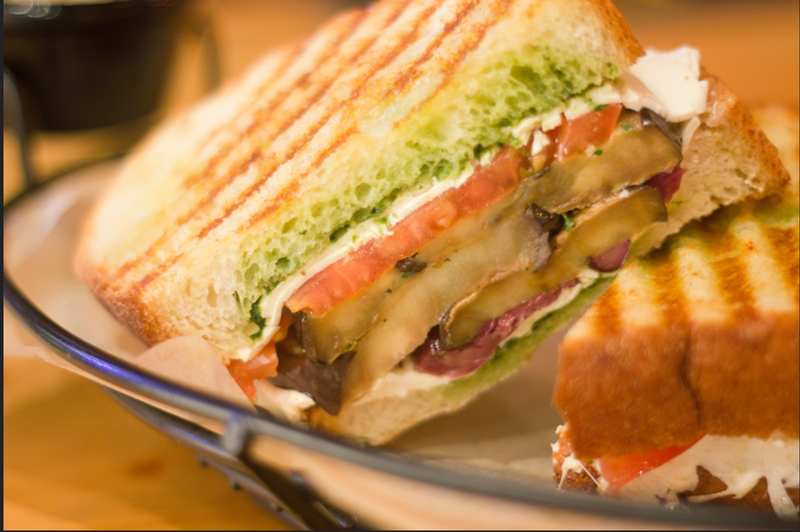 This trendy sandwich spot has quite possibly every kind of sandwich imaginable! From Roasted Eggplant to Braised Brisket, their menu is composed of hot and cold sandwiches. The best part is that in addition to having almost 30 different creations, The Sandwich Bar even offers gluten free and vegetarian options. We bet you’ve never tried a Taiwanese sandwich before, but here’s your chance! The Bao Shoppe creates small baos which are offered in a myriad of combinations with over 5 topping options such pork belly and ponko crusted pollock. And, if you’re not in the mood for a sandwich, they have some other interesting Taiwanese dishes to try including scallion pancake wraps. 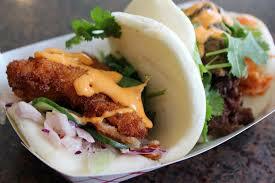 Ramen Co is just about as untraditional as it gets, transforming the sandwich into something completely new. Not only is this sandwich comprised of ingredients other than the typical bread and spread, it also takes on a new form…the burger! Mixing together his Japanese and American heritage, Chef Kienzo created the Ramen Burger to represent the meshing of two cultures. This new creation became popular at the 2013 Smorgasburg and since then has completely taken off. At Havana Central they’re cooking up some of the best Latin food in town even including… sandwiches? Yes! Yet another vendor doing their best to give the sandwich’s reputation a face lift, Havana Central offers a variety of classic Cuban sandwiches. 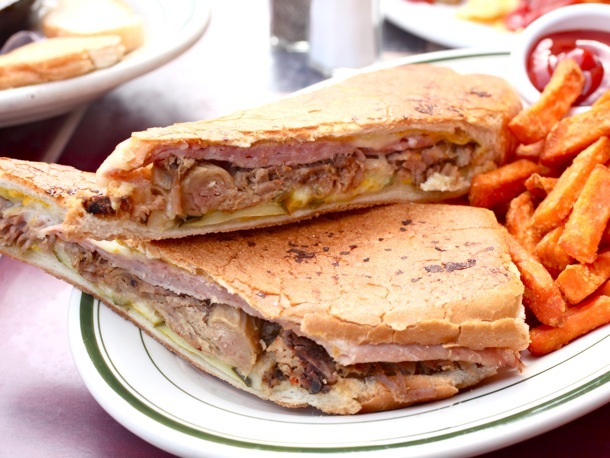 The most well known is probably The Classic Cuban Sandwich, otherwise known as Sandwich Cubano Clásico, which is comprised of smoked ham, roast pork, Swiss cheese, pickles and mustard. And, if you’re feeling a little more adventurous, try the Turkey Avocado Cuban Sandwich or the Roast Pork Sandwich; we’re sure that no matter what you try, Havana Central’s sandwiches will definitely become one of your favorites. Finally, taking sandwiches to new bounds is Maison de L’Eclair with their savory eclairs. Filled with smoked salmon and cream cheese or tomato and mozzarella, these small sandwiches bring a little bit of the Paris vibe to the Big Apple. And, when you’re done, a variety of handcrafted dessert eclairs await you, what’s not to love! Previous Entry:Bringing the Office Together: Tumblr HQ Ate This Up… Maybe You Will Too!